So says the Andy Hagans (www.etfdb.com) in an article* which Lorimer Wilson, editor of www.munKNEE.com (Your Key to Making Money! ), has further edited ([ ]), abridged (…) and reformatted below for the sake of clarity and brevity to ensure a fast and easy read. The author’s views and conclusions are unaltered and no personal comments have been included to maintain the integrity of the original article. Please note that this paragraph must be included in any article re-posting to avoid copyright infringement. Since gold is a commodity, many investors assume that gold ETFs are essentially identical. 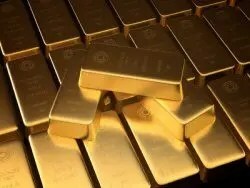 While there are a number of factors that make the various gold ETF products unique, the most important is the manner in which they achieve exposure to gold prices. For investors with significant gold holdings, diversification across custodians and geographies may be desired as well. While a repeat of the U.S. gold confiscation of 1933 is unlikely, it isn’t completely impossible. Some investors may sleep better at night knowing their gold is securely stored in multiple locations in different parts of the world. For this reason, London-based ETF Securities offers an ETF that stores its gold in Switzerland, a country long known for being friendly to investors. Gold bugs will also see the benefits of diversifying their holdings across custodian. While the likelihood of any shenanigans involving gold holdings is incredibly remote, the last two years have taught us to never count anything out. JP Morgan serves as the custodian for SGOL, while HSBC and the Bank of Nova Scotia serve as custodians for GLD and IAU. a) The Gold Miners ETF (GDX) is based on an index that provides exposure to publicly-traded companies engaged in mining for gold. Because the revenues of these companies are directly related to the market price for gold bullion, there tends to be a strong correlation between these equities and gold prices. Since GDX was launched in May 2006, it has maintained a correlation with GLD of approximately 0.35.
b) The Junior Gold Miners ETF (GDXJ), with an expense ratio of .60%, focuses on equities of small- and mid-cap companies engaged in the development of new sources of gold either through greenfields exploration or the use of new geological models to search for gold in overlooked and abandoned areas. c) The Hard Assets Producers ETF (HAP) which, while offering limited exposure to companies engaged in the precious metals business, is more heavily tilted towards energy and agriculture companies. Next Is It Time to Nibble at Gold Miner Stocks?